MANILA - Shaking out of apparent nervousness, a male contractual nurse from Albay province claimed this week the second half of the P1.18-billion Ultra Lotto jackpot prize, the Philippine Charity Sweepstakes Office (PCSO) said Tuesday. 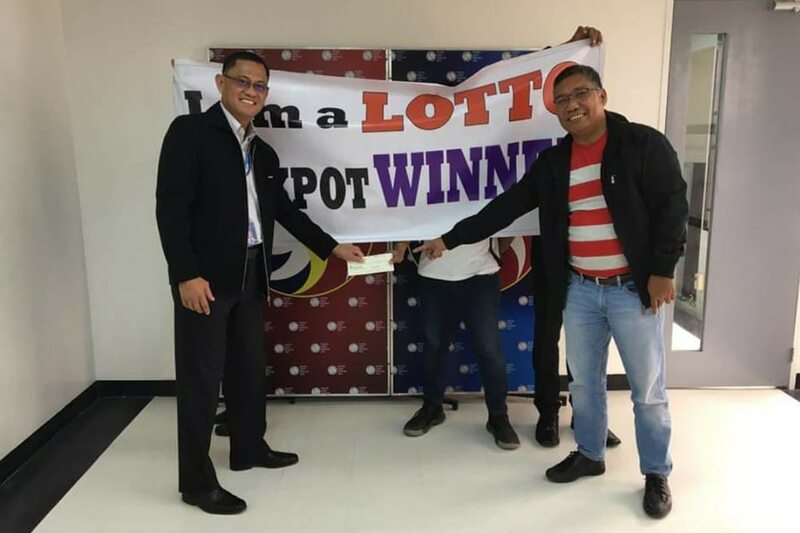 The 33-year-old lottery winner was accompanied by 2 relatives when he presented his winning ticket at the PCSO's main office in Mandaluyong City, said the agency's spokesperson Florante Solmerin. The new millionaire appeared to be nervous and had to be coaxed by officials with smiles and assurances for his security before sharing his background, Solmerin said in a phone interview with ABS-CBN News. The winner is married, but has no children. He has been supporting his parents, said the PCSO official. The nurse bought the winning ticket from a mall in Legazpi City. He took a week to get his prize because he had to fix his schedule, Solmerin said. The lucky bettor has yet to make plans on how to spend his P470-million winnings. "Parang nasa cloud 9 pa s'ya," said Solmerin. PCSO officials advised the winner to invest in his security, tap the help of an expert to manage his finances, avoid any vice, and donate to charity, he said. The P1.8 billion Ultra Lotto jackpot -- the highest in PCSO history -- was bagged by 2 winners last Oct. 14. The other winner from Borongan, Samar claimed his half of the prize last week. What are your chances of winning the UltraLotto 6/58?